Posted on February 24, 2019. 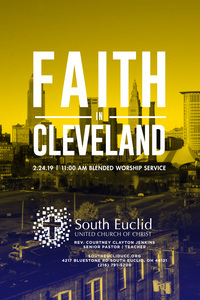 On Sunday, February 24, 2019 we will be hosting a Faith in Cleveland worship experience. Joining us will be Congresswoman Marcia Fudge! You don't want to miss this inspiring service!